We breed Angus cattle optimized for docility and high marbling while eating grass. They are born, raised and finished on pasture. 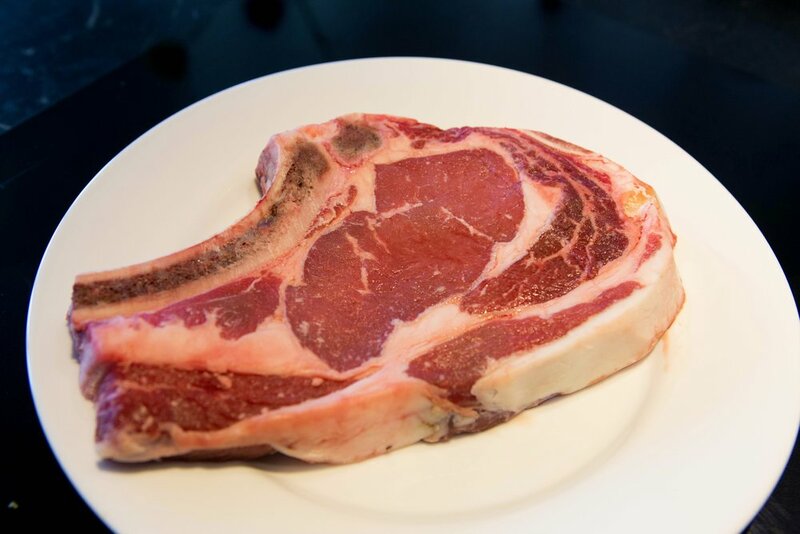 The result: 100% grass-fed beef that is well-marbled, tender, and flavorful. Our cattle lead happy, natural lives as a herd and roam our pastures and can seek dry shelter when rainy weather arrives. Our friendly cattle get daily attention with plenty of scratches behind the ears and are hand-fed organic carrots, apples, cabbage, spinach and other organic produce that we raise on the farm. 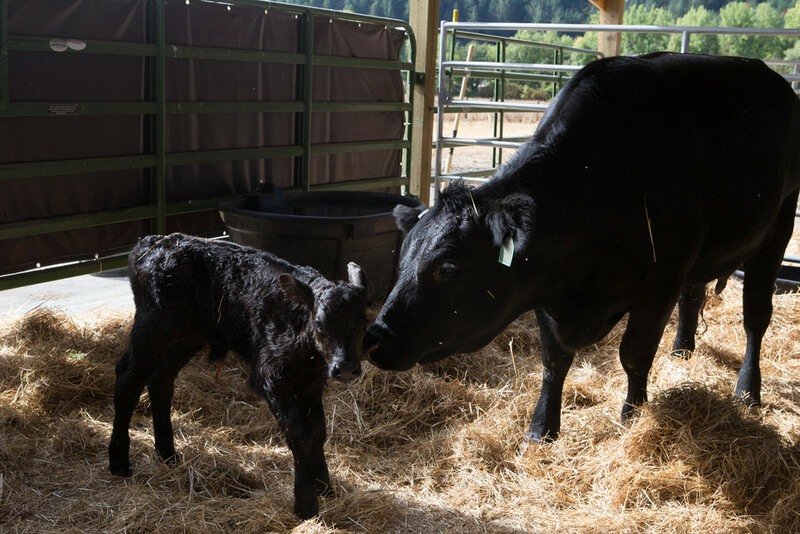 We keep our herd size purposefully small to ensure happy and healthy cattle that are supported by forage that is grown and harvested by us on our farm. We NEVER feed grain, antibiotics, or growth hormones. Our pastures include a diverse mixture of grasses and legumes and benefit from intensive rotational grazing of our cattle. 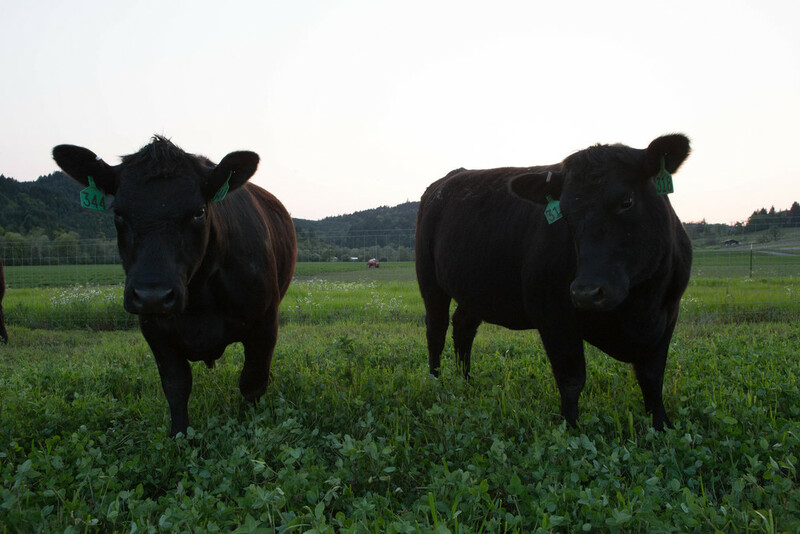 Our pastures are non-GMO and no synthetics, herbicides, fungicides, or pesticides are applied. We also produce our own haylage to feed our own cattle during winter months. You can check out how we produce our own haylage. We sell our beef direct to individuals and families by the quarter or half share. We slaughter seasonally in early summer when the beef will be most tender and flavorful. We have a very loyal following and limited availability. Because we give our current beef customers priority in ordering beef shares for the upcoming year and we operate on a small scale, we will not know for sure how many shares we can offer to new customers until January 2019. We estimate that we only have a few shares left for 2019. So if you are interested, please sign up now on our Beef Shares page! Please select the "Beef Shares" button for pricing and info on how to purchase your grass-fed beef share!